This year, first-year students are being offered a 50-dollar gift card if they complete the workshop. But according to Bystander Initiative acting director Frankie Cachon, it's about more than that. 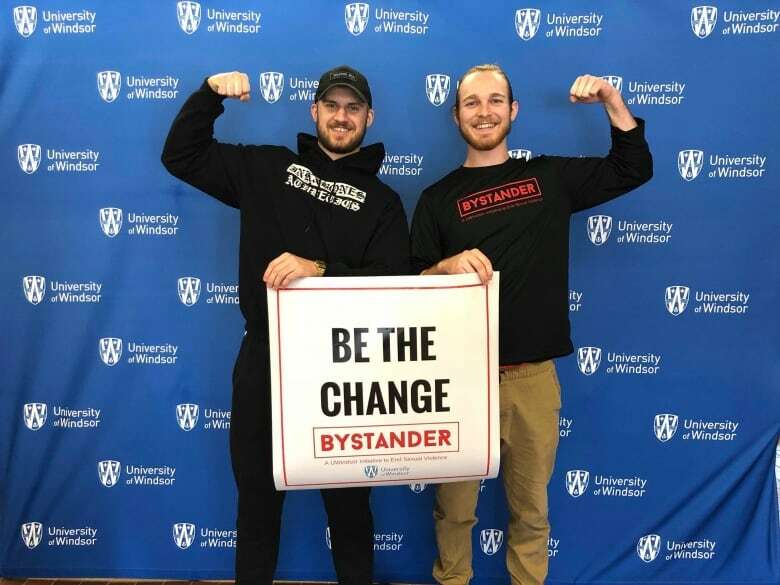 The University of Windsor is seeing a rise in participation in their sexual assault prevention workshops — called the Bystander Initiative. The program started eight years ago as a way of teaching students how to step in when another person is at risk of being sexually assaulted. The initiative has become more popular than ever before. For Bystander Initiative acting director Frankie Cachon, the increased attendance isn't solely the result of a $50 gift card being given to participating first-year students — rather, it's because the program inspires people to become change-makers and leaders. Since Sept. 24, the Bystander Initiative has run two workshops twice a day. Cachon says Friday's workshops are "consistently full" — and the addition of a third workshop is being considered. She said a lot of students have expressed that they "don't mind" getting a $50 gift card for participating in the program. However, it's not the incentive they thought it would be. "A lot of students prefer bonus marks for classes or they're just genuinely interested in the program and want to be part of social change, so that's exciting as well," said Cachon. She added the University of Windsor has demonstrated "tremendous leadership" toward sexual assault prevention by institutionalizing the program. "Our students from Practical Strategies for Social Change take our course and get a university credit. And then, they take [Practicum in Social Change] to learn how to facilitate the course," said Cachon, adding student-led workshops allow other students to be more engaged. Some of the content examined in those courses include "first-hand accounts of survivors' victimization," such as a victim impact statement in the Brock Turner case, said Cachon. "We know, in our culture, there tends to be so much minimization of the harm ... Our program is about cultivating a community of responsibility." Workshops are also split up by gender, so students are asked to register where they feel most comfortable. Cachon said research has proven the method's effectiveness. "In particular for men, less defensiveness, more openness to the message. That peer culture facilitates more openness and willingness to participate."